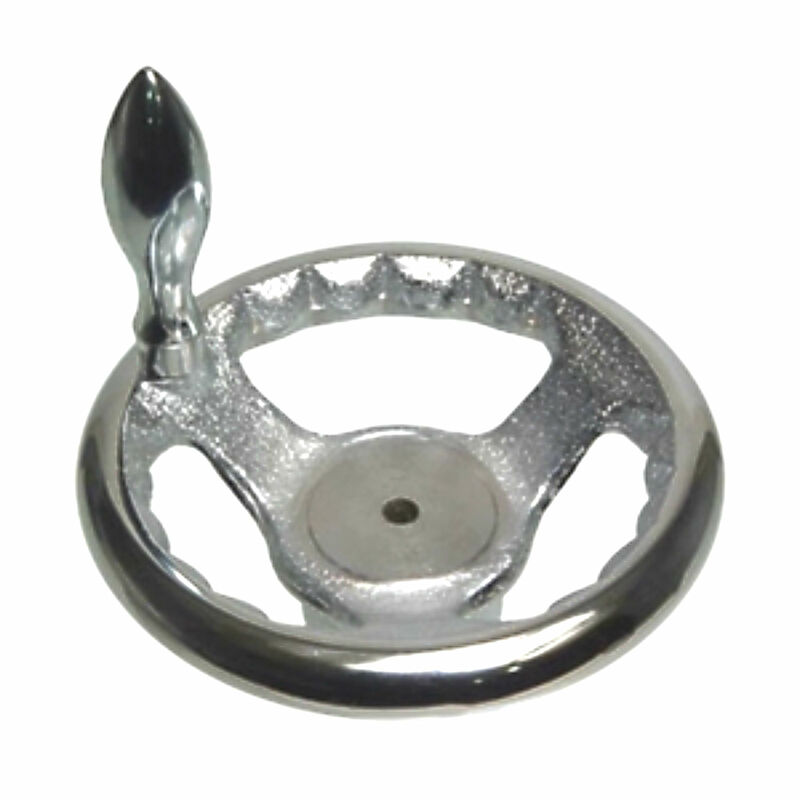 Request a quote for Offset Cast Iron Handwheel w/ or w/o Revolving Handle today. 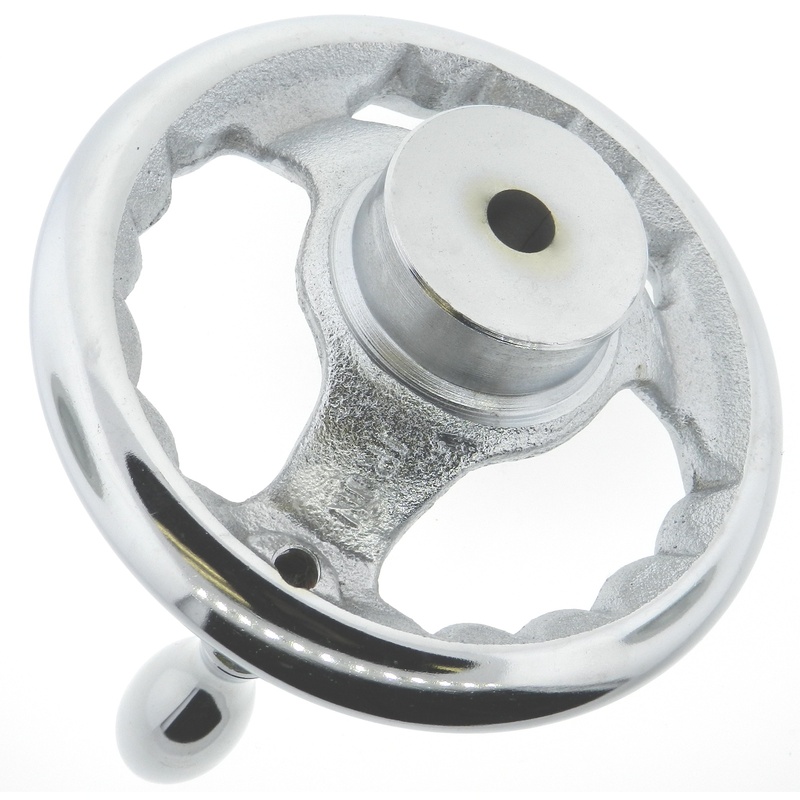 This offset (dished) handwheel from JBF National is crafted from the finest cast iron, and comes in a lustrous nickel plated finish. 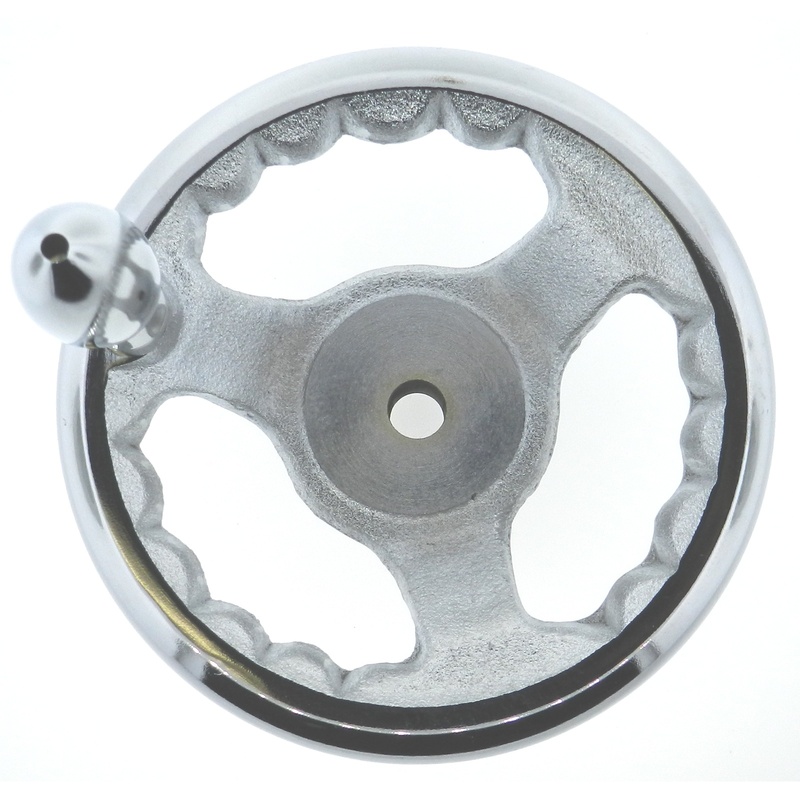 The polished permanently lubricated revolving handle (optional) ensures operator grip and comfort during repeat use, with the semi-crenelated inside rim ensuring maximum hand and palm grip for minute adjustments. 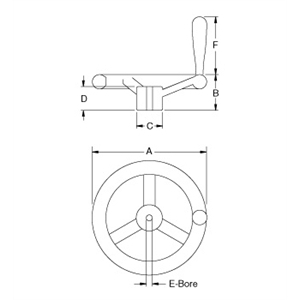 For optimum flexibility, this handwheel features an oversized hub which allows for a variety of set screws, keyways, and bore sizes. Handless models available. Please see component diagram below.